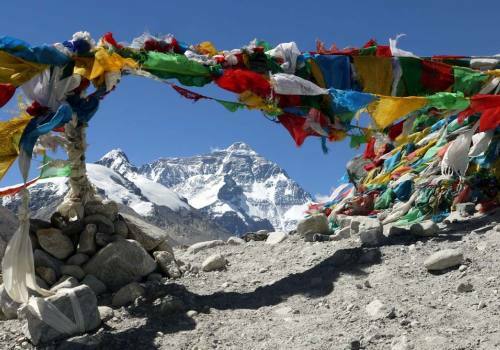 Everest Base Camp Trek 5 days is a best and easy trekking designed especially for exploring the Mount Everest and Mount Everest Base Camp in 5 days’ time interval. 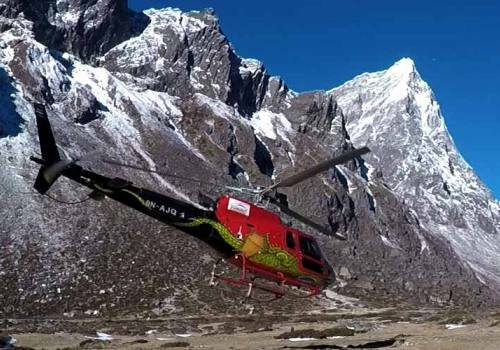 For this 5 days EBC heli trek, the long days’ (more than a week) itineraries are customized to enjoy trekking in just 5 days with particulate services. 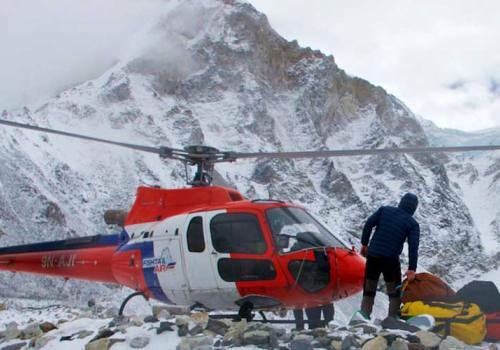 The time taken to complete Everest Base Camp for more than a week has been minimized. 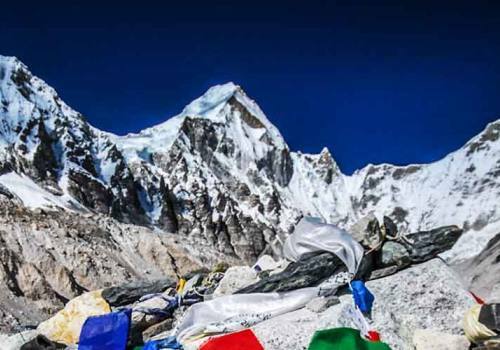 Though it is completed in a 5 days period of time, Everest Base Camp Trek 5 Days provides full opportunity to enjoy the scenic beauty of the Himalayas, and exotic flora and fauna. 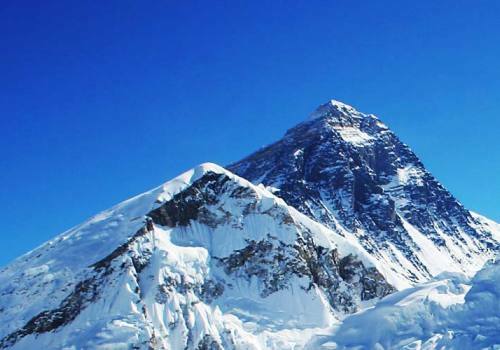 5 Days Everest Base Camp trek takes you closer to the highest peak of the world located in Nepal, Mount Everest with both walks and peregrine view through Heli flight. The encounter with ancient and unique Sherpa Village, tradition and cultures of inhabitants is also the center of attraction. Everest Base Camp Trek 5 Days with Heli starts with a regular flight to Lukla followed by a hike to Phakding on the same day and next day to Namche Bazaar. From Namche Bazaar, you will hike upward to a beautiful Sherpa village named Khumjung. 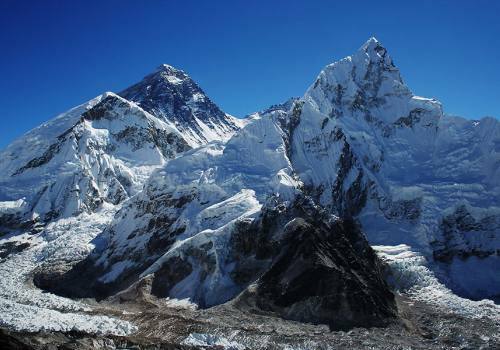 Next day, after breakfast at the hotel, you will be heading towards Everest Base Camp via Heli. After a few hours of flight around Everest region, you will have an option to either land at Base Camp or at Kalapatthar. For a few minutes, you will be able to enjoy Everest regions' natural beauty and after that, the flight will turn back to Lukla for making the flight back to Kathmandu the next day. Next day, after having breakfast, you will fly back to Kathmandu. Nepal Trek Adventure and Expedition, centered in the heart of Kathmandu, Thamel, gives this brilliant chance to trek around the Everest locale and takes a heli trip to see the encompassing surrounding and return back to Kathmandu through this EBC 5 Days trek (Everest Base Camp Trek 5 Days). We offer you group joining just as a private gathering, with best schedules and sensible expense. 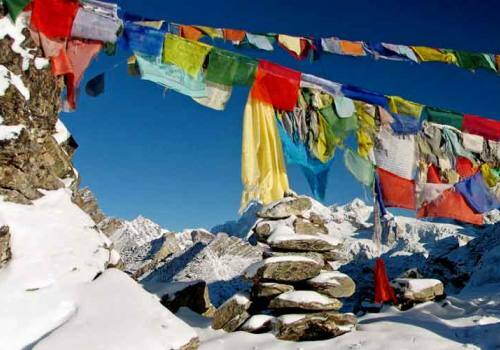 We are sufficiently adaptable to broaden the times of trekking as per your interest. 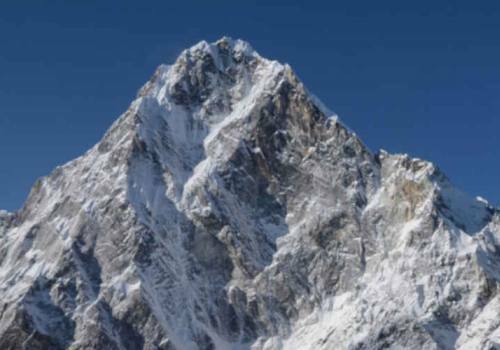 For any motivation behind request like Everest Base Camp Trek 5 Days Cost, Everest Base Camp Trek 5 Days Itinerary (for modification), 5 Days Everest Base Camp Trek queries, you can get in touch with us by essentially sending a request mail and we will reach to you right away. Don't hesitate to get in touch with us whenever you want. 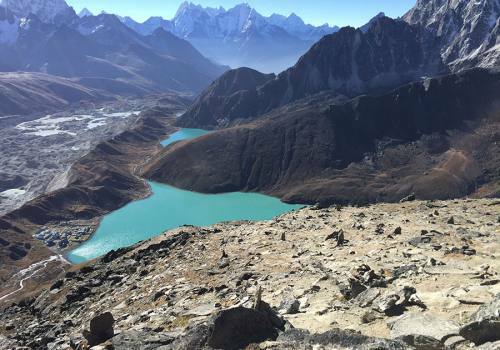 Nepal Trek adventure and Expedition I right on your door with Everest Base Camp Trek 5 Days for enjoying Mount Everest outlook. Day 01:Kathmandu to Lukla Flight by Small Aircraft and Trek to Phakding (2610m.) Our trek starts on this day with a drive to the airport and a scenic flight to Lukla. The flight will take 30 minutes to reach there giving the astonishing views of mountains, forests, and rivers. After landing in Lukla, we start our trekking to Phakding enjoying the scenic beauty on the way. Stay overnight on the lodge in Phakding. Day 02:Phakding –Namche Trekking- 6 hrs. (3446m) On this day, we trek to Namche Bazaar from Phakding Village via Dudh Koshi (Milk River). Before reaching Monjo, you come across pine forests, fir and rhododendron forests on the way, which make your trip more pleasant. 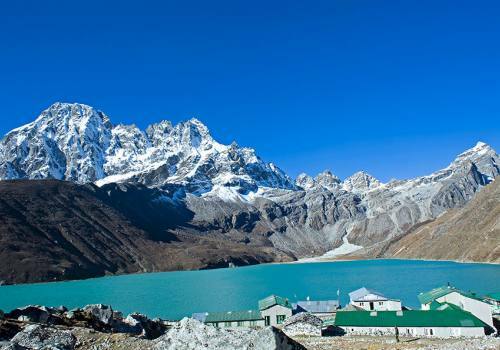 Monjo is the entrance to Sagarmatha National Park. The views of colossal mountains are majestic which are observed on the way while walking. Here, we also get the view of very beautiful and ravishing bridge, named as Tenjin Hillary Bridge. This bridge was named after the names of two pioneers Tenjin Norgay Sherpa and Sir Edmund Hillary. After a long walk (approx 2 hours), we reach a viewpoint called as Toph Danda. We spend the remaining time viewing the beauty around the area, explore the surrounding area of Namche Bazaar and stay overnight there. Day 03:Namche Bazaar to Syangboche Early in the morning, after breakfast, we start our trail to Syangboche from Namche Bazaar through the traditional villages. 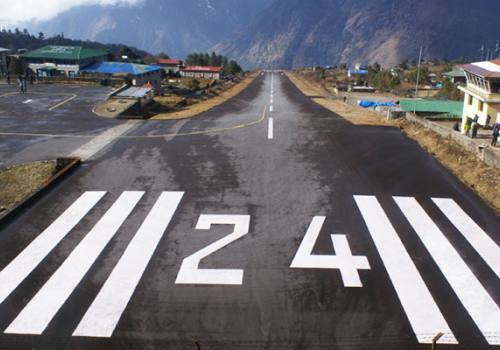 We start with an hour climb to the Shyangboche airstrip (3790m). you can Stay in Everest View Hotel which is more expensive and has been listed on the Guinness Book of World Records (2004) as the Highest Placed Hotel in the world at 13000ft. or you can come back to Namche Bazaar and enjoy with local culture of Sherpas. Day 04:Helicopter Flight to Everest Base Camp and Fly back to Lukla On this day, after having breakfast, you will fly around Everest region and after some rounds, the flight will land on the Basecamp, but you will also have a choice to land a flight in Kalapatthar. After observing the beautiful surrounding of the area, you will fly back to Lukla for preparing to be back to Kathmandu. Or you can also continue this Helicopter flight back to Kathmandu but for this option, price will be higher. Let us know if you are in a group and want to choose this option, we are flexible enough to provide you different quote. Day 05:Flight to Kathmandu from Lukla by small Aircraft On this day, after having breakfast, we will fly back to Kathmandu from Lukla by small regular flight enjoying the beautiful outside view of mountains, rivers, forests, lakes and city lights. Your travel insurance (Travel insurance is compulsory to take an adventure trip and it must be covered both medical & emergency evacuation with the worth of USD100, 000.00 minimum. The single supplementary charge is compulsory $950. In this cost, we guarantee 100% running of the secure trek for a single traveler in their requested Private Departure Date. In 2015, I was in Nepal for my vacation and my friends suggested me for trek. I was totally confused in choosing team for trekking. I visited many of the trekking agencies door to door for 2 days. But I was not satisfied because all agencies were only explaining about themselves. At last I got information about Nepal Trek Adventure from internet, I checked the site and there were all legal documents of the company. The day after I visited to Mr. Binod and I booked a trek with him due to his professional behavior and I got a chance to learn from them. My guide Shiva was so friendly and informative who answered all my questions. I did not felt bored even for a second because of his funniest nature. By going with their team, you will never feel regret. Highly recommended. King with words and nothing with action suits for many agencies I had seen. But Nepal Trek Adventure and Expedition stands out of this list. Yes, I can say that because I have had a beautiful helicopter trek to Everest with them. The services and hospitality provided by them are remarkable and somehow divine. The highly managed schedules, prices, and obliging guides and porters further added spark in my trekking experience. Nepal trek Adventure and Expedition not only shows the thread but also shows by action. I was very happy uniting with this agency and still remember their sweet and praising words which beautify Nepal and its people more. We, I and Jordan were planning for a trek to Everest but we were not sure about the agency which we had to pick up. One very day, we went to one of our friend who already had gone for Everest region trekking and she recommended the name, Nepal Trek Adventure and Expedition at once. We were amazed with the frequent reply of our friend so we immediately contacted the agency. 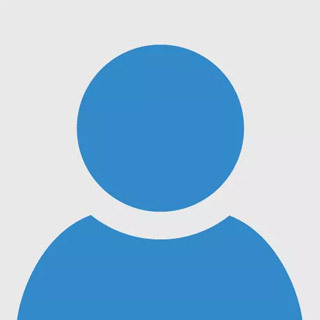 We talked with the Managing Director, Binod Sapkota, who impressed us in such a way that we didn’t find any reasons to say no to him and this company. So, we finally landed in Kathmandu and after rest and further activities, we started our helicopter trek to Everest Base Camp. Till then we were unknown about our guide Krishna Sapkota. He was the person who was going with us to assist us in our trek. We took flight to Lukla and reaching there was followed by our walk. During the trek we asked many questions to them (Binod and Krishna) listening to which anyone would have become irritated but we were surprised seeing them. They answered all our questions fluently with patience. We got to know many things both known and unknown, about the region. The moment we all reached the base camp was the day I will never forget in my whole life. We all were looking at one another’s face and smiling with our twinkling eyes as our dream was fulfilled with best companions ever. Collaborating with Nepal Trek Adventure and Expedition gave us a lifetime memorial experience. So, I highly recommend Nepal Trek Adventure and Expedition to execute any trekking in Nepal. Don’t worry, you are in safe hand. 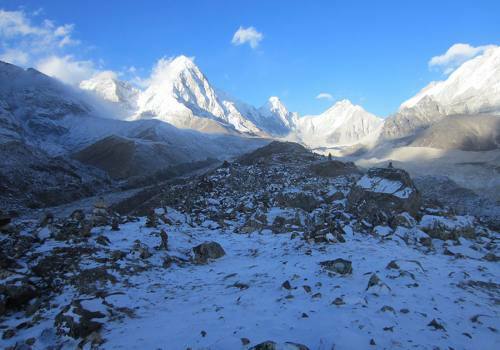 The best time to visit Everest Base Camp is the seasons like spring and autumn, which implies the months of September, October, November, March, April, and May. During these months, the weather and climate remain clear and overall outlook remains more visible and accurate. Gazing sunlight also does not harm the body much, as it remains at a moderate level (sometimes higher). There will be less fear of having high colder as the temperature remains adjustable in those months. Flora blossoming and fauna dancing will also add more spur in these periods of time. Everyone has the right to take photograph and photo of the things and place that they admire. But there also resides some places like temples, monuments, gompas, etc. where cameras (and taking photographs) are not allowed because of the country’s personal norms and values. So that should be respected. Most importantly, it is must ask the respective guide, porters, or locales in order to know about these restrictions and unavailability. It is important to be known about the clothes that should be carried during the trek aka helicopter tour. As this journey hails to the highest mountain in the world and its base camp, of course, there will be cool weather. So it is recommended to have warm, waterproof, windproof, and extra pairs of clothes, in order to prevent body fragileness. Helicopter tour does not need much more clothes as in trek. So you can minimize your clothing sense to the trekking part only. It is always a must to carry extra bucks which can be used anytime anywhere. Also, ATM service is available in city areas but is rare in Himalayan areas, so typical currency is to be carried. Shopping, bar bills, extra accommodation facilities, and more can be put under control with the help of it. Laundry service is available in city areas but not in the mountain. So, it can be a problem for some. Dark clothes and sweat absorbents should be taken with self to prevent it to some extent. Shopping can be done any places whether it is the city like Kathmandu and also in Himalayan places like Lukla and Namche Bazaar. Most importantly, laundry and shopping should be done as a personal expense and the company’s cost includes do not embrace that in the list. 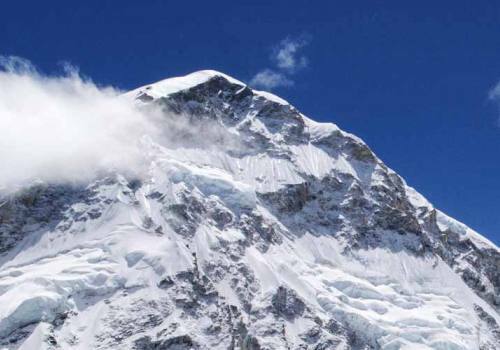 Altitude sickness is of three types: acute (mild) altitude or mountain sickness (AMS), High Altitude Pulmonary Edema (HAPE), and High-altitude Cerebral Edema (HACE). All these are occurred because of the decrease in oxygen inhaling volume. Medicines like acetazolamide (Diamox and Diamox Sequels) and/or dexamethasone (AK-Dex and Ocu-Dex) are recommended to carry in order to reduce the impact of altitude sickness if occurs during the trek. Humble attitude means learning about some gestures that can be used in order to have some impact during the trek and helicopter tour. Some words like ‘Namaste’, ‘hello’, ‘how are you – k cha halkhabar’, ‘’welcome - swagatam’, ‘thank you - dhanyabaad’, etc. are some humble gestures that can be learned and used. Some people may have a fear of height. So such situations should be mentioned previously during trip booking. Counseling and motivation will be provided in order to inspire you for conquering your fear. Food and accommodation will be provided to you in Lukla, Phakding, Syangboche and Namche Bazaar. Food will be organic and hygienic, along with both local and international cuisines. Accommodation will be provided in order of your requirement and demand. Hotels and lodges will be booked in Lukla, Phakding, Namche Bazaar, and Syangboche. Those hotels and lodges will be all highly rated with extra and best services and hospitality. You can have the camping trek too. The Fixed Departure dates are listed for special quoted price specified on Small Group Joining trip. But we are flexible to receive any dates booking in Private Group Departure or Single Traveler basis for the year 2018, 2019, 2020 and 2021 on your suitable dates which can certainly be added by us in our fixed departure list.